The Monkey Island Symbiote Statue is now shipping. It is a limited edition of 1000 pieces and is available for $90 from The LucasArts Company Store or directly from Symbiote Studios. 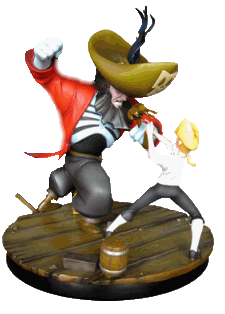 If you buy the Monkey Island statue directly from Symbiote, they have a deal where you can get the Sam & Max statue for half price (usually $75 and also a limited run of 1000 pieces).